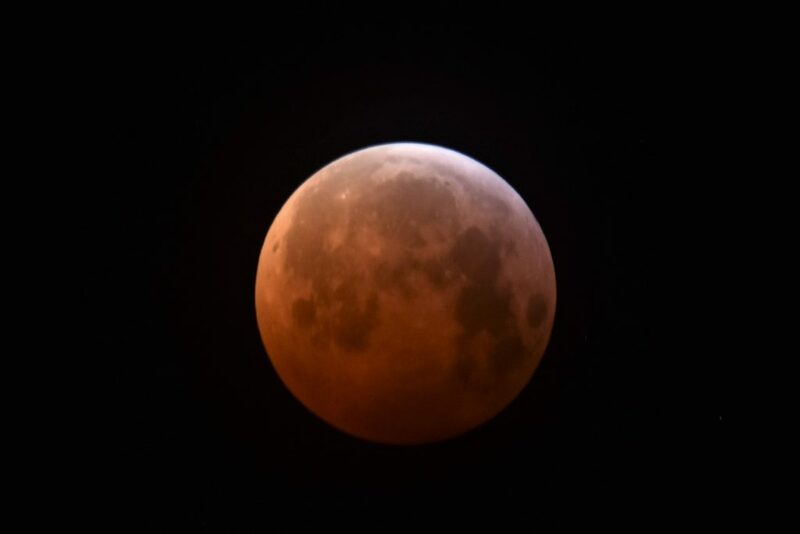 Clouds interfered with viewing of Monday morning’s total eclipse of the Moon across much of the UK, but some northern areas and the south-eastern corner of England had clear skies. A number of video recordings of the event have shown a very brief flash on the Moon near the crater Byrgius near Mare Humorum at 04:41 UT. Here’s a link to one such video, recorded in Morocco. Pay attention to the left-hand limb of the Moon about 10 seconds after this video starts, at 04:41:43 UTC or 1:20:47 on the video timeline. The flash looks at first sight like a video fault but it is recorded on several other videos. Any members with videos of suitable quality or indeed single images recorded at this time are urged to look at them. 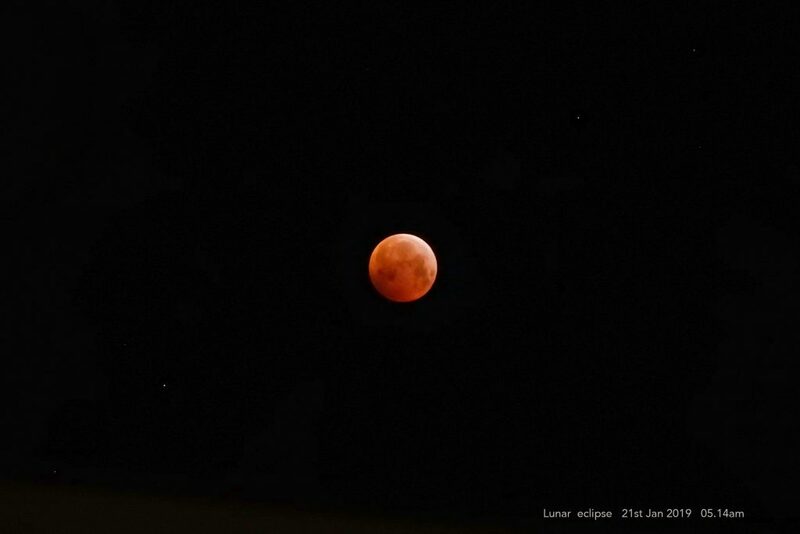 If you do detect a flash, please email us at lunar@popastro.com. 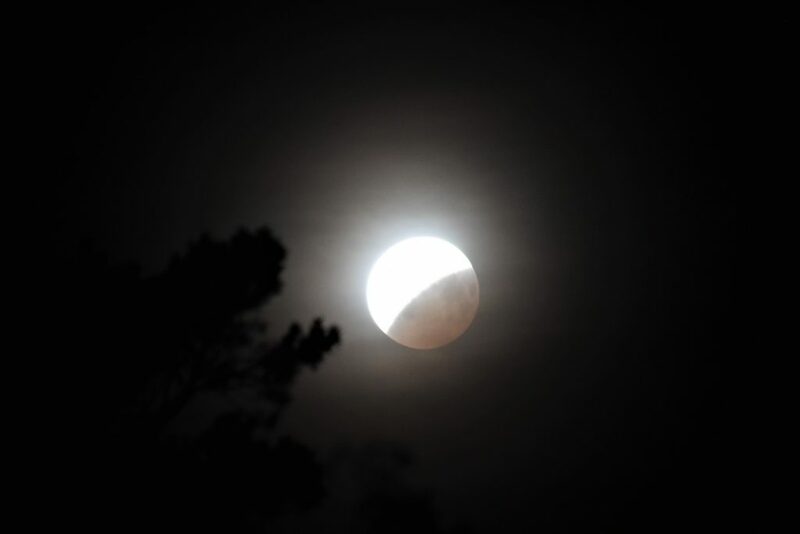 Speculation is that the flash was caused by a meteor impact on the Moon. The 12th century observation referred to in the report was chronicled by a monk, Gervase of Canterbury, who reported that on 18 June 1178 the crescent Moon appeared ‘as a writhing snake’. 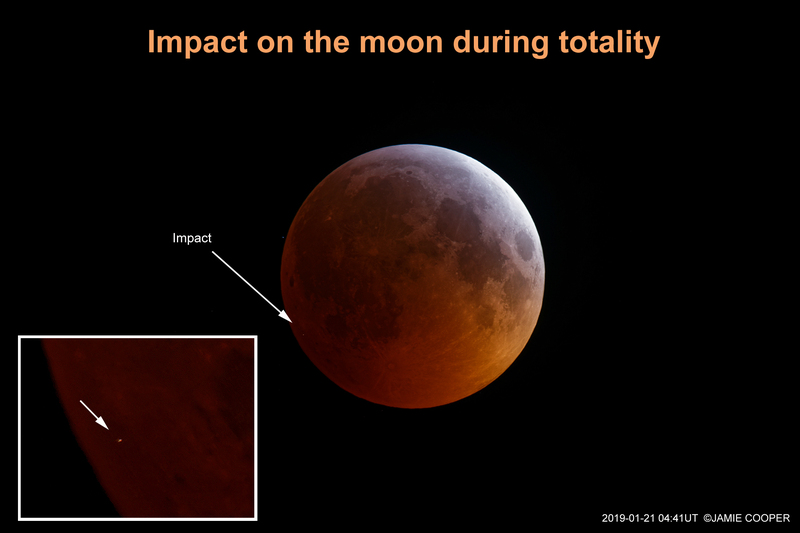 One interpretation of this is that the appearance was caused by the impact of a large body, possibly causing the very recent farside crater Giordano Bruno, though others have challenged this suggestion. 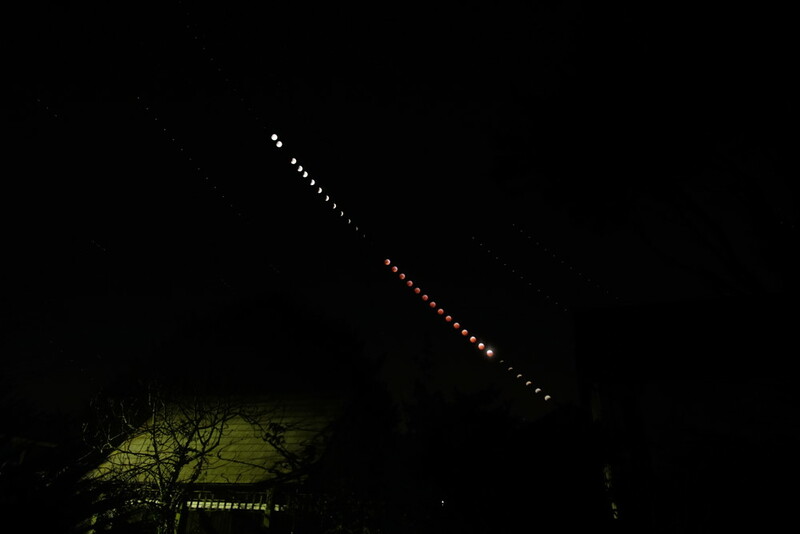 Jamie Cooper in Daventry, Northants, found the flash on the 4-second exposure of the Moon. Here are some more of the photos we’ve received. Chris Cater, St Lawrence Bay, Essex. Wide-angle view taken just before mid eclipse from Tan Hill in Cumbria by Stuart Atkinson. Click to enlarge. To upper left are the stars of Cancer, with the star cluster M44. To the upper right is Pollux in Gemini. 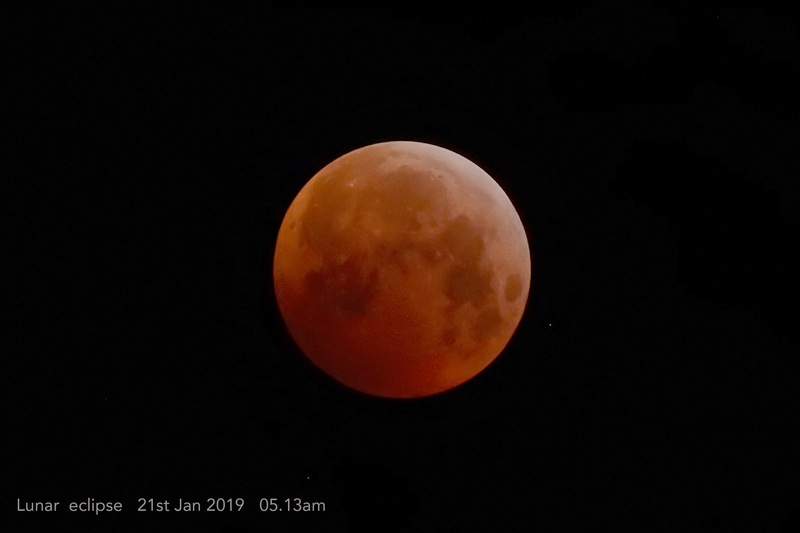 Taken at 05:37 with Nikon D7200 at prime focus on Takahashi Sky 90 scope. 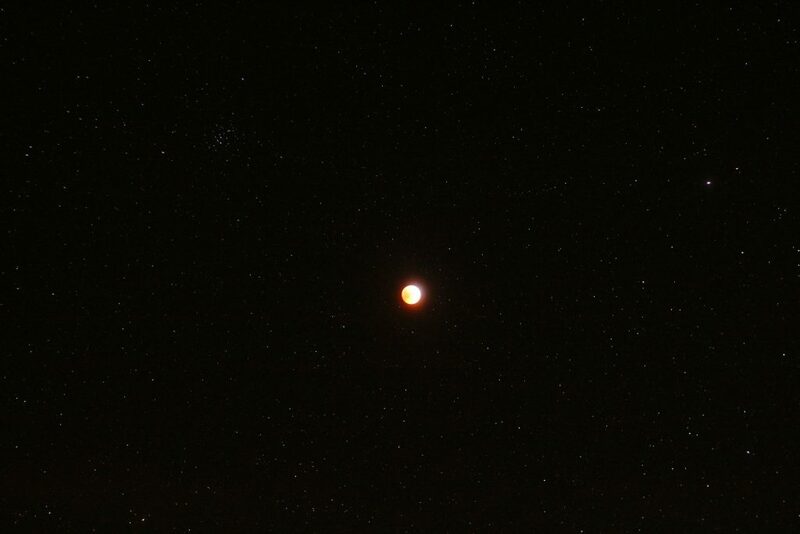 ½-second exposure at ISO 1000. Nigel Joslin, Galloway: I used my 4″ refractor with a magnification of 20x, to see a beautiful eclipse. 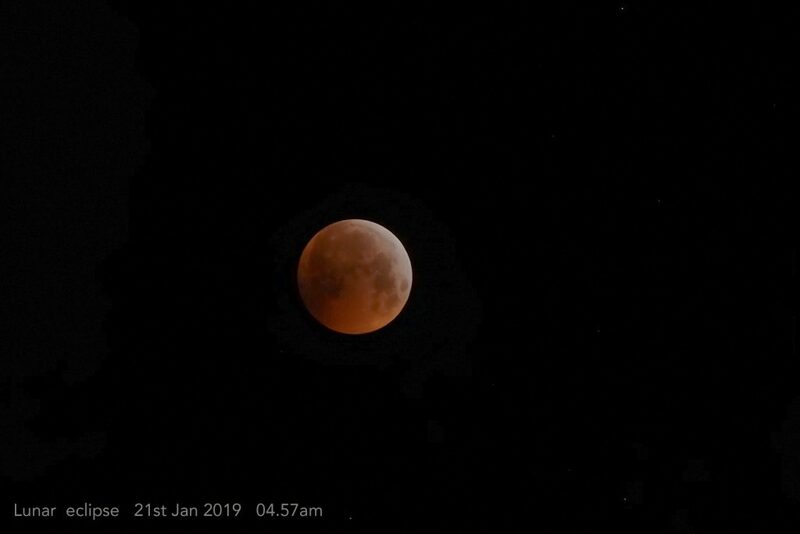 Come near-totality, the bottom third of the moon was a deep red with a lovely white edge to the remaining small crescent. And then a couple of small stars appeared in the field of view – fantastic, what a sight! Mike Feist, Brighton: Exceedingly lucky with the weather, it was totally clear here in the land of the South Saxons! Cold and clear. Was able to observe from indoors, firstly from the downstairs window and then, when a large tree blocked the view, decamped to the upstairs room. The last part required going outside to the Park. Used 10×50 binoculars on a tripod and a handheld 8×36 Nikon binocular. Used the latter only when in the frosty Park. 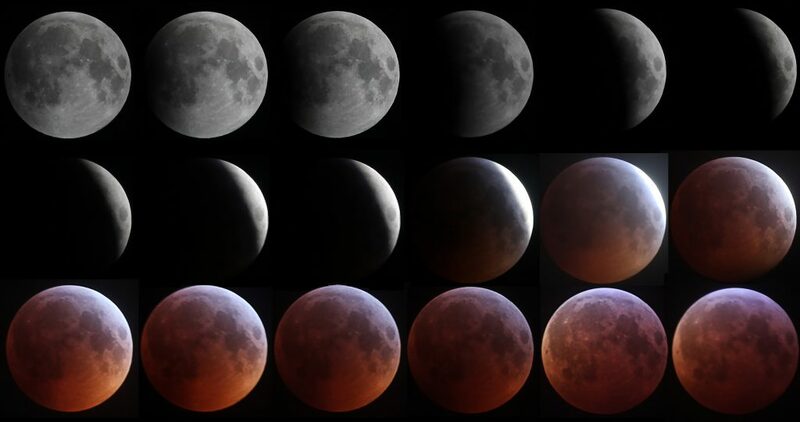 Made 16 sketches of the progress of the eclipse and took many photographs –have as yet not printed any of these – with camera alone. 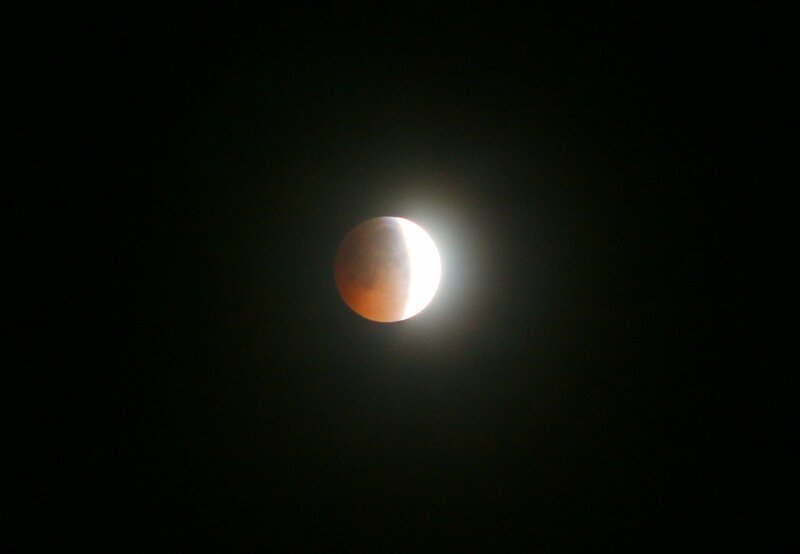 At totality thought it to be a rather dark eclipse, with some pinkishness here and there, any redness best visible in binoculars or even unaided edge. The eclipsed Moon was in line with Castor and Pollux and near M44 (The Praesepe) and near totality one could pick out the stars of this cluster. At that time I could also observe R Leonis, which was about as bright as 18 Leonis. The trip to the Park also produced a lovely view of Venus with Jupiter about half the field of view below, in the 8×36 binocular. 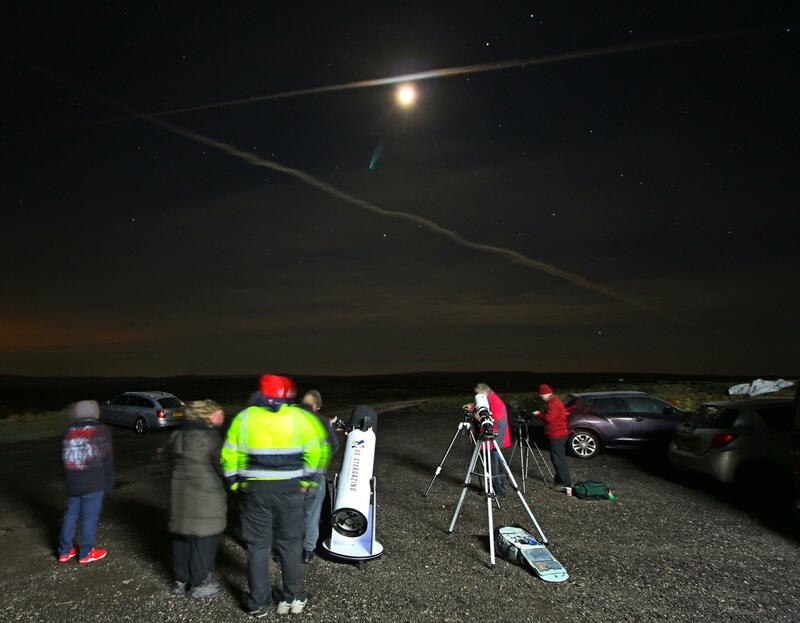 If you’ve just come across the Society for Popular Astronomy, do find out a bit more about us by looking at what we have to offer. Our aim is to make stargazing fun, and our society magazine. Popular Astronomy, contains a wide range of articles to suit all tastes, at a popular level. Membership costs just £22 a year. To find out what members say about us, go to our rather jolly video ad!